Thanksgiving is a favourite holiday. It is a time to reflect on what is really important, a time to express appreciation and gratitude, a time to reach out to those less fortunate. We are all extremely grateful for our health, our families and friends, our bounty and our friendships with each of you. You have trusted us with your care, you have shared with us good and bad times, we have laughed together and cried together, you have been loyal, you have been a second family to us. For all that you have brought to each of us in different ways we want to say thank you. 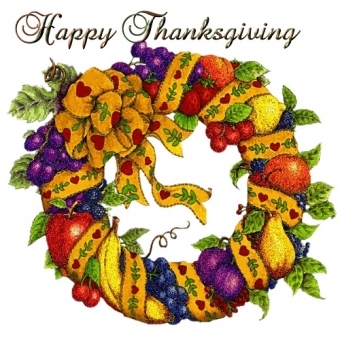 So, from each of us here at Lorne Park Dental we want to wish you and your families a very Happy Thanksgiving.